In today’s article, we are going to talk about wearing blouses with jeans. A blouse can be called an everyday wardrobe essential. You can easily pair it with dresses, shorts, classic trousers and jeans. Blouse and Jeans tandem deserve a particular attention. There are thousands and more blouses styles and most of them look great with jeans. A classic blouse allows you to create an elegant conservatism, where a simple and clear silhouette is always in trend. 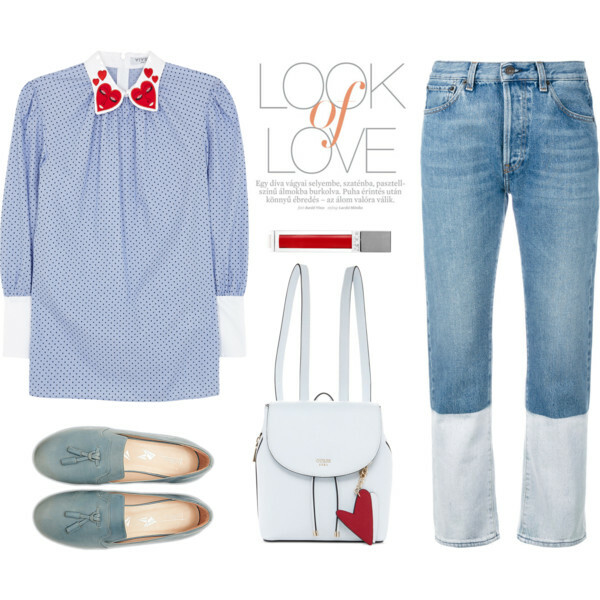 I personally, love to combine white blouses with classic blue jeans, the result looks sweet, elegant and gentle. But you can try on beige, pastel hue or classic bright color. If you are into something bold, then you can go for printed styles. Choose lightweight materials for your blouse, like chiffon, silk or satin. This top will remove all shortcomings and emphasize all your best assets. The following outfit ideas are great for women who want to underline their femininity, as well as keep things simple. Take a close-up look and find your favorite combinations. 1. Short-sleeve cream beige blouse ideally suits double denim look consisting of light blue slim jeans and short-sleeve denim jacket. Add metallic loafers, beige fedora hat and oversized sunglasses that are so must-have for oval face shapes. 2. V-neck printed blouse is tucked in high-waisted blue skinny jeans. This tandem can be updated with a black fedora hat, brown leather handbag, and khaki green leather heeled shoes. 3. Long-sleeve cream-white blouse can be tucked into acid wash blue jeans. Add black fedora hat, black coat, and glossy black leather mannish shoes. 4. Off-shoulder dark floral printed blouse in lightweight chiffon looks awesome with cuffed blue jeans and maroon suede caged ankle boots. 5. Red printed tunic blouse can be easily teamed with ripped washed blue jeans. Add cream-gray flat shoes and black sunglasses. 6. Washed gray skinny jeans can be a perfect addition to an abstract print blouse. Complete this outfit with strappy heeled black pumps. 7. 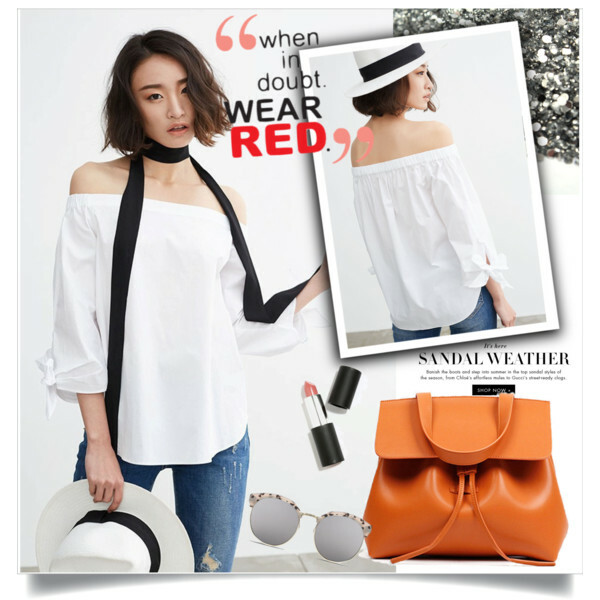 An off-shoulder white top is ideal for wearing with ripped blue skinnies. Add white Panama hat, rounded sunglasses, and orange leather backpack. 8. Pastel orange long-sleeve blouse ideally suits blue skinnies. Add wedge embroidered sandals and color-blocking tote bag. 9. Wrap rich red blouse and slim jeans is a great combination for everyday use. 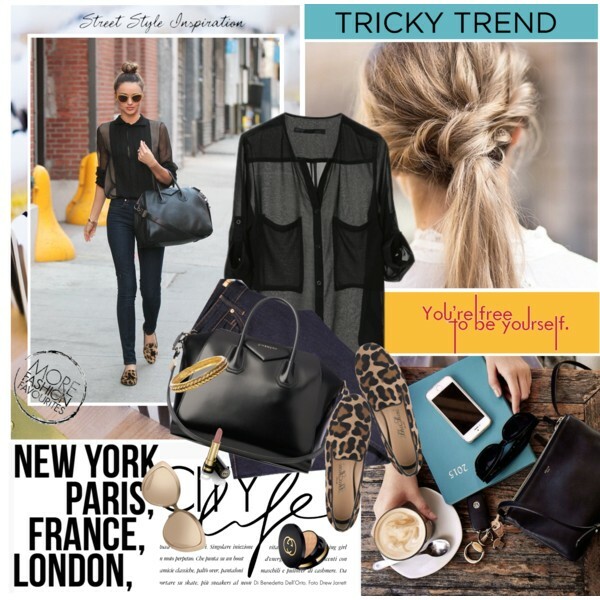 Add peep-toe suede black ankle boots and black leather mini bag. 10. Pastel-pink chiffon blouse or white lace shirt look equally awesome with gray washed jeans. 11. How about teaming the same shades? Go for a chiffon dark blue blouse and tuck it inside high-waisted dark blue skinnies. Complete this outfit by adding a black coat and pointed-toe black heels. 12. Blush long-sleeve top can be worn with dark blue skinny jeans. Add glossy burgundy heels and matching color fedora hat. 13. Blue skinnies look awesome teamed with a light blue shirt. Add brown leather sandals, brown leather tote bag, and brimmed hat. 14. 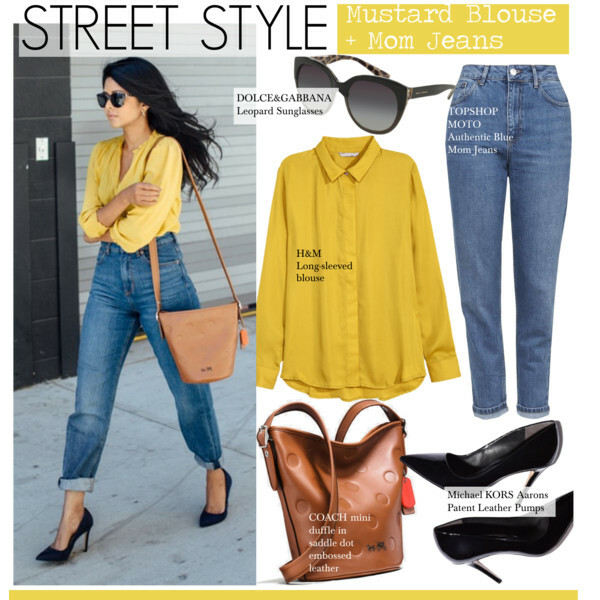 Mustard-yellow long sleeve blouse is a perfect match for wearing with blue mom jeans and black pointed-toe heels. 15. Striped white button-down looks damn hot with cuffed washed blue jeans and fuchsia heeled pumps. 16. Wrap blouse in gray-cream color ideally matches boyfriend jeans. All you need is to add a black pair of pointed-toe pumps and a black top underneath the blouse. 17. Cream-beige V-neck blouse is tucked in light blue jeans. 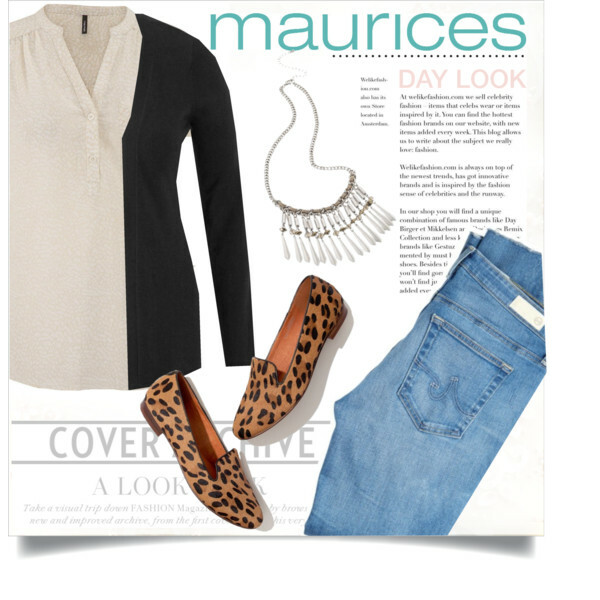 Add animal print loafers and black cardigan. 18. Chiffon black blouse ideally matches dark blue skinny jeans. Add animal print loafers and oversized cat-eye sunglasses. 19. 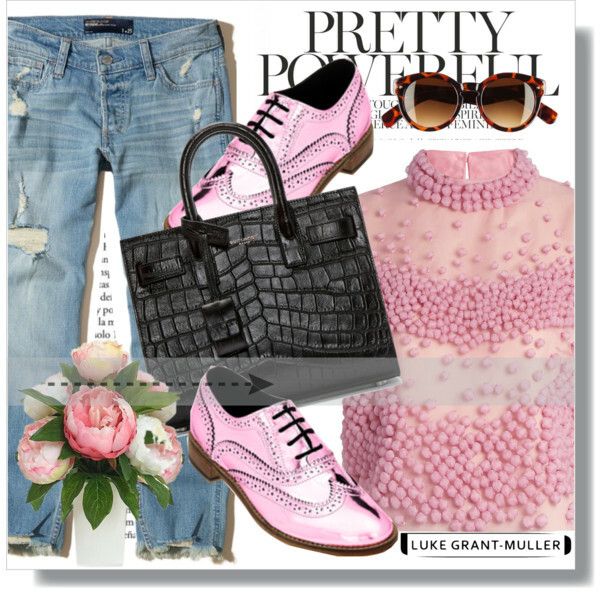 Embroidered blush blouse looks pretty chic with ripped washed blue jeans and light pink Brogues. Add rounded tortoise sunglasses and black leather structured bag. 20. The blue blouse can be tucked into straight-leg jeans. Add gray-blue loafers embellished with tassels and white leather backpack. 21. How about marrying classy with casual? Go for a white shirt and tuck it inside extremely ripped jeans. 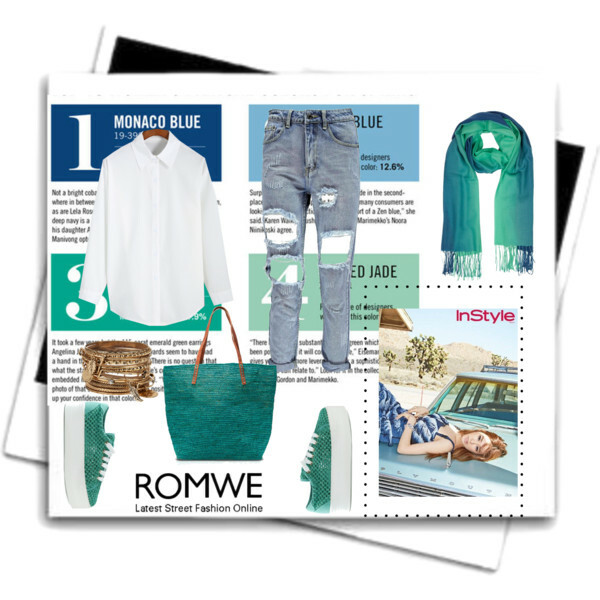 Add green platform slip-on shoes and matching color tote bag. 22. Black blouse with lace-up neck can be tucked in dark blue jeans. Add heeled black leather Chelsea boots and maroon fedora hat. 23. Another pair of acid wash ripped jeans teamed with white lace-up neck blouse and purple lace-up boots.